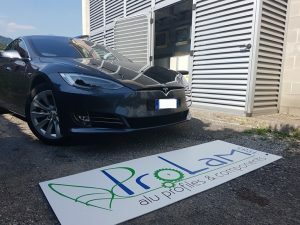 Pro-Lam Alluminio srl welcomes its new company’s car, the innovative Tesla model S.
It was immediately connected to company’s power grid which is powered only by electricity generated by solar panels. 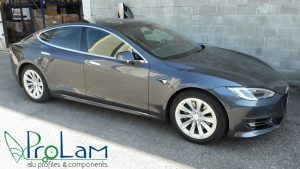 Pro-Lam Alluminio srl is proud to show its new car near company’s converters. They are protected by Eur&Sun extruded aluminum profiles system for cabinets and storage.